The opposition Movement for Democratic Change (MDC) President Nelson Chamisa has scoffed at President Emmerson Mnangagwa’s invitation for dialogue saying credible negotiations can only be called by a sincere convener and mediator. This follows Mnangagwa’s invitation for dialogue to all the 2018 presidential election contestants. Writing on his Twitter late yesterday and today morning, Chamisa said Mnangagwa’s Presidency is disputed hence his call for dialogue appears like a political game. “DIALOGUE NOT GAMES. We’ve a political crisis arising out of a disputed and rigged Presidential election result in Zimbabwe. The Presidency is disputed. We need genuine dialogue under a credible Convener and mediator to solve this crisis. 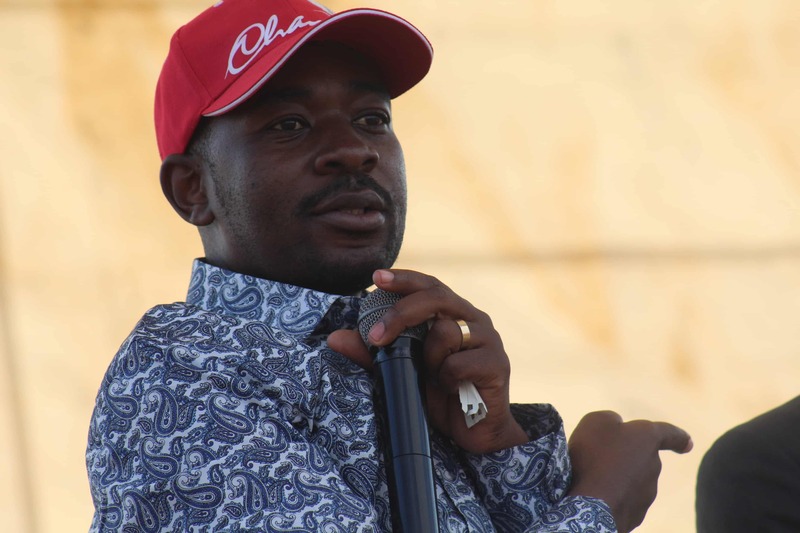 Stop citizens abuses, beatings and arrests,” Chamisa wrote. “Politics is a calling not a career for me. At the end of the day, Zimbabwe is bigger than any individual. I will rather be destroyed than destroy the hopes of millions in a genuine new dispensation,” added Chamisa. Political analyst, Pedzisai Ruhanya dismissed President Mnangagwa’s call for dialogue as a public relations stunt ahead of his scheduled meeting with other head of states at the African Union summit. “There’s the AU meeting coming next week and ED wants to use the dialogue gathering tomorrow to hoodwink SADC and AU that there’s at least some talks to sort out the mess. “…Any meaningful dialogue should not be led by one of the belligerents and most critically it should not be a public relations exercise to appease the slipping international support particularly the British. Nelson Chamisa and the MDC should play their cards tactfully!” said Ruhanya. Renowned constitutional lawyer Fadzayi Mahere was however singing from a different hymn book, suggesting that Mnangagwa’s call be given a chance. “ED’s call for dialogue is perhaps a good thing – he may finally realize he can’t go it alone, especially after Britain fell off yesterday. However, there must be sincerity, humility and a will to compromise. There must be clear objectives, a neutral mediator and wide consultation,” she wrote on Twitter today. Permanent Secretary in the ministry of Information, Media and Broadcasting Services, Nick Mangwana took a subtle dig at Chamisa over his evasive approach, saying Zimbabweans expect selfless leadership and not political posturing and grandstanding. “Zimbabweans are expecting selfless leadership from all those at the front of political parties. There is an expectation by the people that political leadership and people centred-ness will prevail over any benefits that may be derived from posturing and grandstanding,” said Mangwana.